Hi everyone! Thanks so much for dropping by! It's time for you to share your wonderful ideas at The Scoop. I am extra excited this week because it's my turn to host! 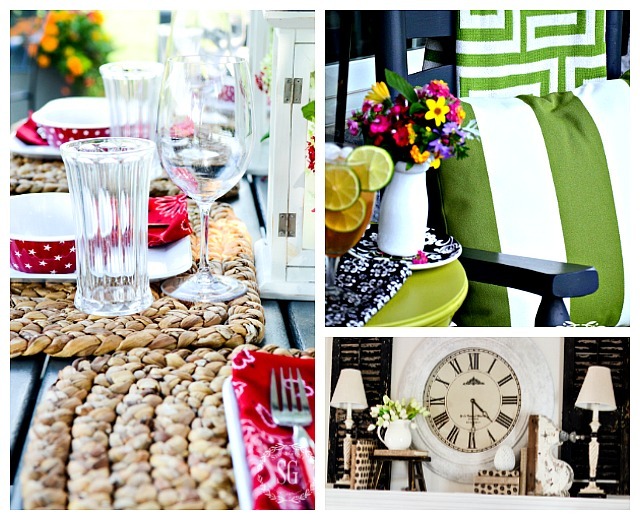 I'm looking forward to lots of summery inspiration from you, our guests, so let's get started! Hi everyone and thanks so much for joining us at The Scoop! It's always so much fun to see what you have to share each week! Here in Georgia, July is in full swing with its heat and...best of all...with its peaches! 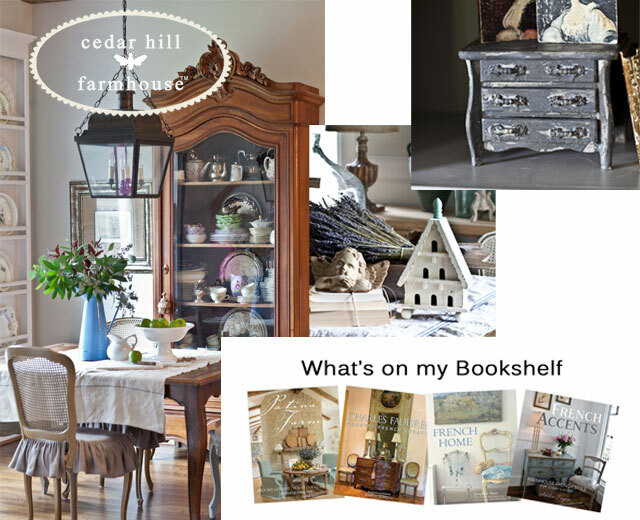 I have a new post using them in my FARMHOUSE CENTERPIECE and plans for a cobbler which I'll share later! Yum! 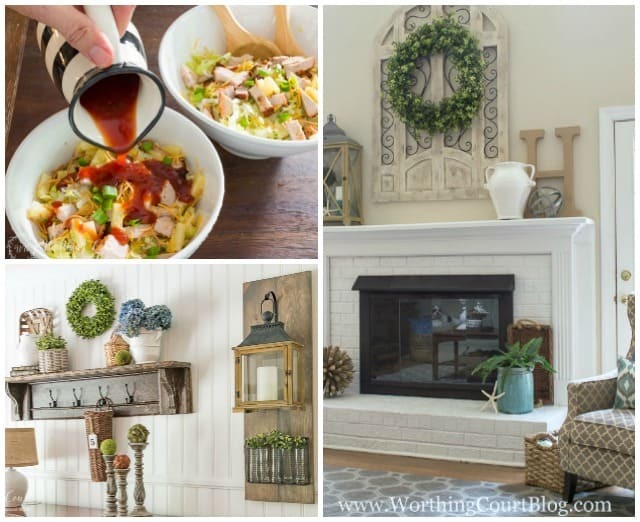 Here are just a few of the fabulous ideas that you shared last week! 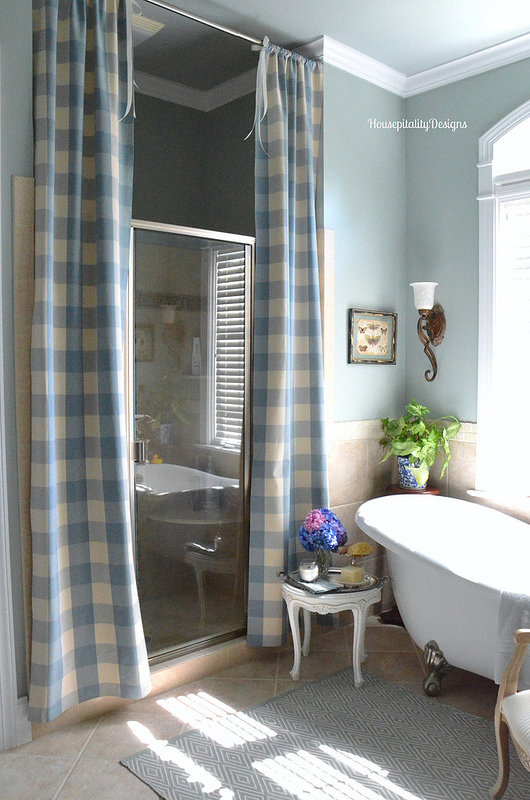 Shirley from Housepitality Designs showed us HOW TO ADD SOFTNESS, PATTERN AND PRETTY TEXTURE TO THE MASTER BATH. Love that shower curtain! Susan at Oh My! 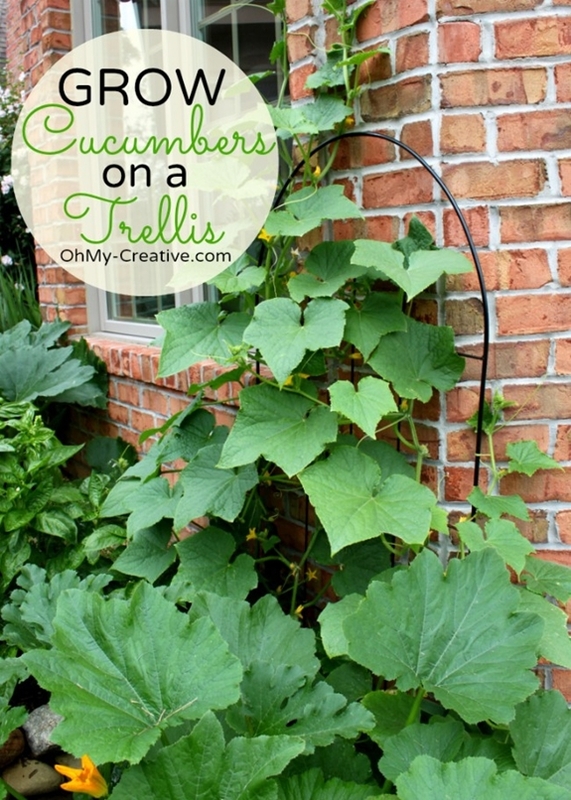 Creative shared her tip for SMALL SPACE GARDENING...GROW CUCUMBERS ON A TRELLIS. Genius! 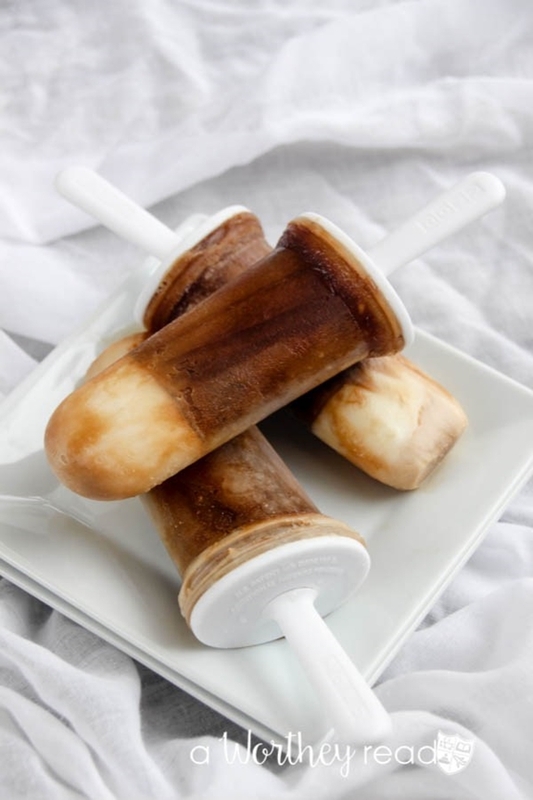 I can't wait to try this one...ICED COFFEE AND CARAMEL YOGURT POPS from Tatanisha at A Worthey Read! All my favorites together in one treat! How cute is this! 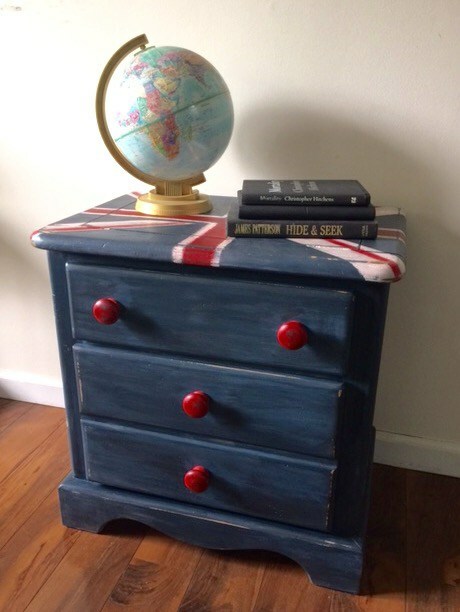 Michelle at Our Crafty Mom is the creator behind this colorful OLD FASHIONED MILK PAINT UNION JACK NIGHTSTAND. Love it! 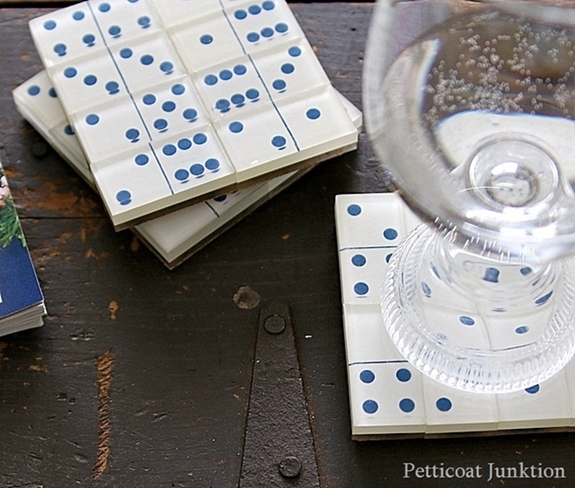 Kathy at Petticoat Junktion has me searching thrift stores so I can make some of these fun DIY DOMINOES COASTERS. And they are practical, too! Great features Debbie and thanks so much for featuring my shower curtain drapes!!! Have a great week! Debbie, it's always great catching up with your fun and practical crafts you do, and this lemon verbena soap you did this past week is fantastic. 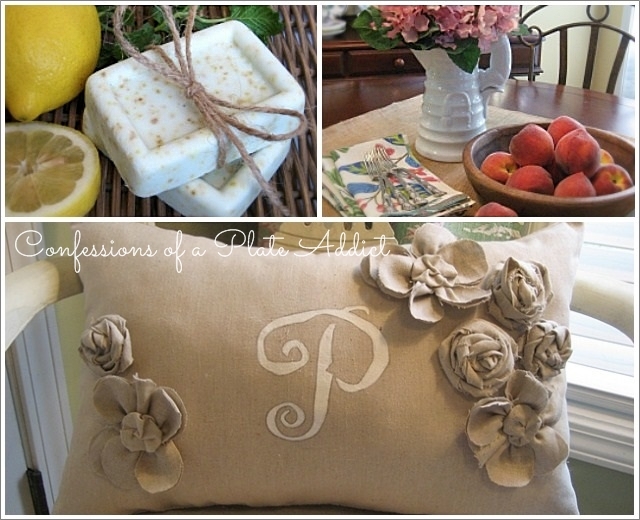 I immediately recalled your lavender soap (which I pinned, just like the lemon one). Those are, hands down, two of my favorite natural fragrances! Thank you for that, and for hosting the Scoop. It's always a pleasure to join in. What an awesome party this week. Thanks for hosting, Debbie.